Bill Melvin offers pitching instruction. Please visit his website, Pitching for Excellence, for more information. Ben Johnstone's company, Top Tier Baseball, offers family centered baseball coaching, athletic training, and academic guidance. For more information, please visit his website, Top Tier Baseball. 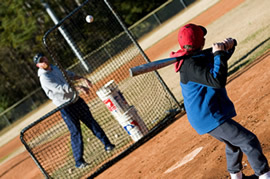 Bill Melvin’s baseball camps are designed to teach and improve all baseball skills for boys ages 4 to 12. Participants work on a variety of skills including fielding, batting, pitching, base-running, and much more in a safe and fun environment. Coach Melvin employs a number of local baseball standouts as camp counselors to ensure that each camper will enjoy his share of personal instruction and attention. Please visit his website, Pitching for Excellence, for more information. 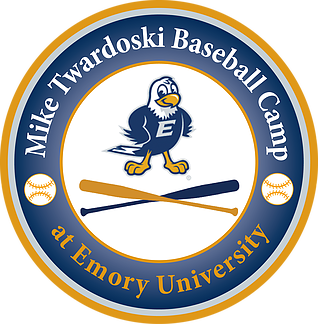 With a staff of former professional players and current collegiate stars and coaches, Emory Baseball Camps provide the finest baseball camp experience around. Please visit http://www.miketwardoskibaseballcamp.com/ for more information.